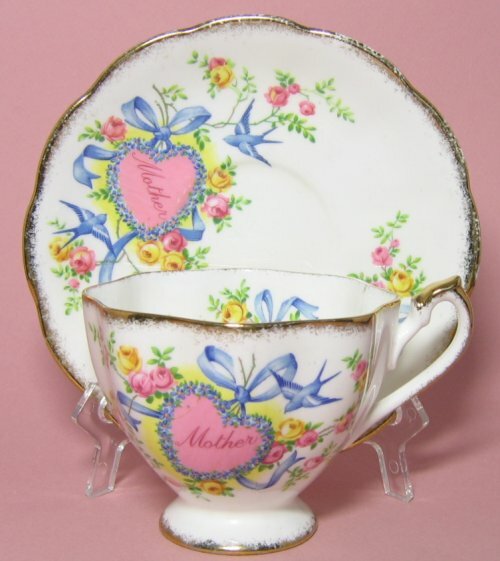 Vintage Queen Anne Blue Bird Mother Heart Tea Cup and Saucer! 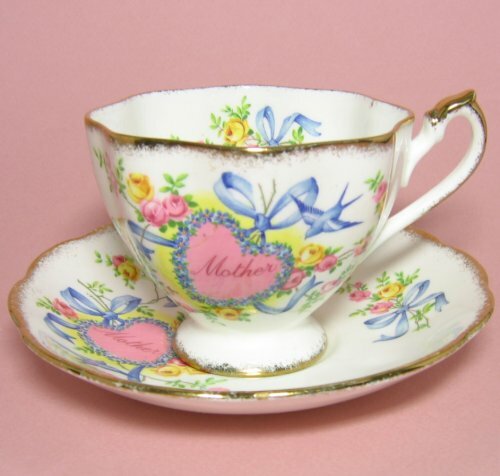 WONDERFUL QUEEN ANNE mother tea cup and saucer. The cup is heavily scalloped and wavy. The saucer has a slight matching scallop. Lovely swallows with a blue floral heart and ribbons surrounding the word "Mother" in a pink heart. Delightful gift for Mom! 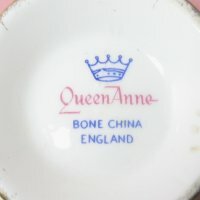 The set backstamp appears to be an earlier stamp, possibly from the 1940's when Shore and Coggins began producing Queen Anne. The cup measures 2 3/4" high and 3 1/2" across, and is footed with a high handle and thumb rest. The saucer measures 5 1/2" across. The set is in very good condition. Airbrushed gold trim is also in good condition.